Rock Your Super Bowl Game Day Look! The new year is whizzing by and here we are at Super Bowl season again! 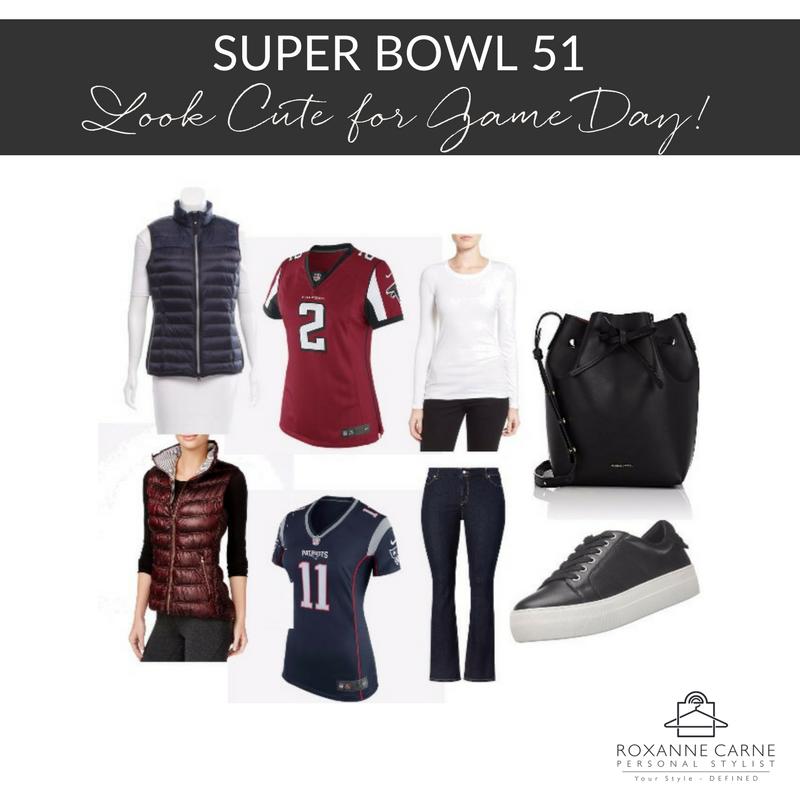 Super Bowl 51 is less than one week away and it’s a time when women and men alike, dress for the occasion – and you should too! This week, I’m sharing a fun, easy Game Day look that you can rock with style and comfort! I went with an ultra-casual look because, hey, you’ll either be out at a friend’s Super Bowl party or hosting your own, so you’ll need to be comfy, right? You want a look that’s easy, comfortable, and cute! This fun look features a ‘pop’ piece, but I promise you, it’s not overdoing it. Remember that balance is key! Click Here to Access the Full Lookbook & Purchase Info! Okay, so let’s get started. 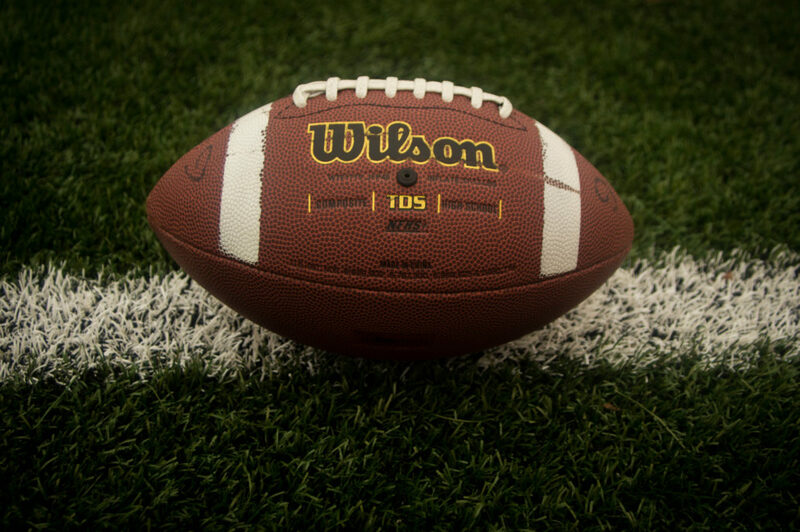 The center of your Super Bowl outfit will, of course, be your favorite team’s jersey (Go Falcons or Go Patriots!). This year, when choosing your official Falcons or Patriots jersey, I urge you to opt for one that’s fitted! (Remember that fitted doesn’t have to mean tight!). Fitted tops are a lot more flattering for your shape and not to mention, more feminine. Jerseys made for men are just too boxy and does nothing for you – at all. Don’t Have a Fitted Sports Jersey? Now if you’re in a pinch and only have access to a ‘regular’ jersey by the time Game Day rolls around, I’ve got you covered. On the opposite side, gently pull the jersey down over your waist/hip area – this creates a flattering asymmetric line from your hip on one side to your waist on the other side. Also, it gives an almost ruching effect which is pretty cool! Voila! Now you have a fitted sports jersey. This is a perfect example of how to #MakeItWork in style! Moving on to our other Super Bowl pieces, I’d like to highlight the puffer vest that I included in this look. This is the ‘pop’ piece because the fabric’s light sheen brings a small hint of glam to the look (but again, it’s not over-the-top!). Giving you comfort and style, the puffer vest is a great way to accent and layer your look while keeping it casual. For this occasion, you’ll want to wear it open to show off your team spirit! 😉 I also love this piece as a replacement option for a heavier winter coat when you’re out and about. It’s versatile enough to wear when you’re running between the house and your car or if you’re indoors and are a bit chilly. And if you get too warm, you can always take it off! Easy, right? For our Game Day look, I’ve also included a simple long-sleeved, white cotton shirt which is also great for layering and keeping you warm! Also, comfy jeans are a must for your Super Bowl look, but they can be stylish too! I think it’s nice to sport a pair that’s fitted through the hips and has a gentle boot cut flare at the bottom – I love the silhouette it creates with the fitted sports jersey on your upper half! Set your jeans off with a modern black leather sneaker on a thick white sole. I paired this type of shoe with the boot cut jean because it’s a handy partner-in-crime in helping you look a little bit taller than you are. And this isn’t just because of the thick sole. It’s because when the length of your jean is just right, the bottom gently sits on the front of your shoe while covering much of the back. It’s harder to see where the shoe starts (height-wise) so your leg is naturally lengthened. It’s like a magical illusion! If you’re headed to a Super Bowl party, you can’t leave the house without a sensible handbag to keep your essentials. I selected a leather mini-bucket bag because it’s perfect for an occasion like the Super Bowl. It's not too big, not too small, nor too flashy – but it’s very functional and just looks great! Ultimately, your Super Bowl look should allow you to be comfortable, but more importantly, have fun! Enjoy the game and may the best team win!